Schauber Stables in Ballston Lake has special activities and photos with Santa (and a horse) on the weekends beginning this weekend. We’ve been busy all week. We experienced the most comfortable rental skates ever at the Crown Center ice rink, and their tickets are for all day. A few super-awesome tween skaters had arrived before us and looked like they were camped there for the day with their long-suffering mothers. J had a tough time doing any actual skating because she was so enthralled watching them. 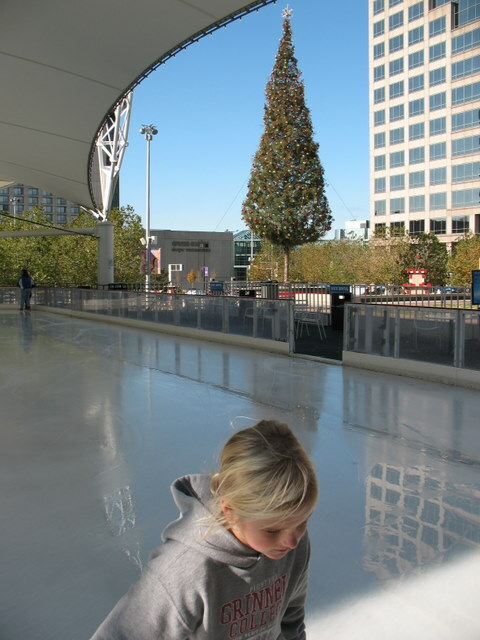 In fact, she moved so little that I thought that she’d forgotten how to skate over the long summer, but when it was time to clear the ice for the zamboni, she slid over skillfully and hopped right off the rink without lurching to the railing as I’d expected. Yay her. 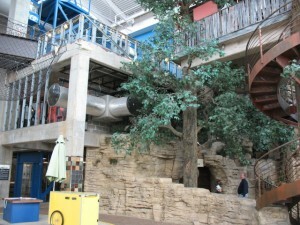 M was especially excited to visit Science City, which we’ve visited before. It’s super-cool, but I kept losing one child or the other, which was unnerving. W enjoyed it, too. See the net above and to the left? 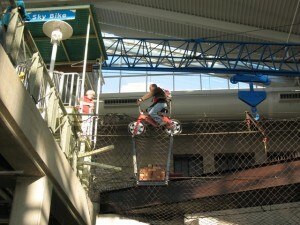 It was to protect people who were riding the Sky Bike. 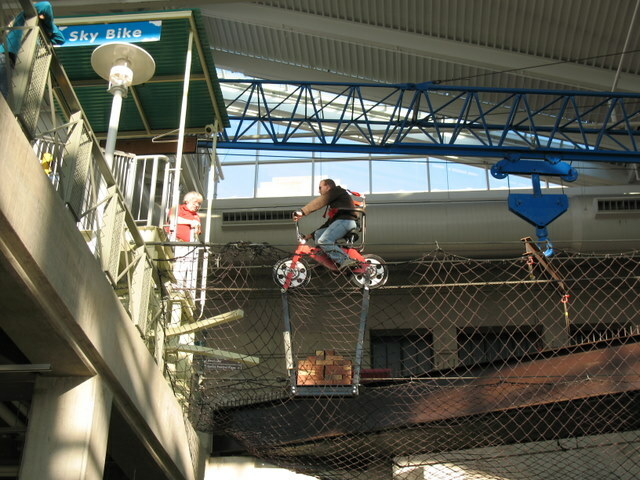 Truthfully, I think that part of the attraction for M is that she’s always hoping that she’ll be tall enough to be permitted to ride the Sky Bike. So far, no luck. Frankly, I think that they’re a bunch of heightists. 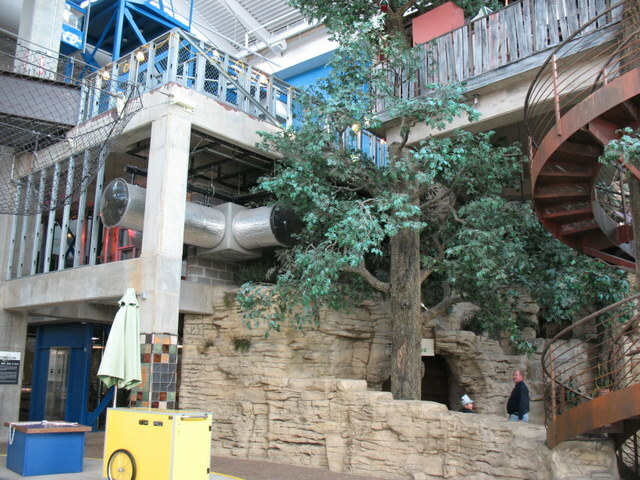 In any case, if you’re ever visiting Kansas City with children, my top 3 recommendations are Science City, the Toy & Miniature Museum, and Paradise Park.